Silicon Valley-based Cyanogen Inc, a leading mobile operating system (OS) developer which customises Google's Android OS for its clients, has hired Qualcomm's former vice-president of engineering Sachin Shirhatti to head its India team. Shirhatti will head the India team which will focus on building new products as well as business development in India, according to his LinkedIn profile. "India is the fastest growing mobile market in the planet and we are here to support it. The big focus of the financing is to expand in India," Kirt McMaster, co-founder and CEO, Cyanogen told The Economic Times. "We are going to expand in India aggressively, and you can expect to see a lot more of us next year. Our Bangalore team has 11 people, which will grow up to 60 people by the end of 2016," he added. 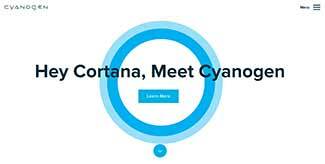 Cyanogen has developed an alternative Android-based mobile operating system called Cyanogen OS. It has features such as personalisation, intuitive interface, speed, improved battery life and enhanced security. Cynogen's OS has over 50 million users in over 190 countries. In March, the company had raised $80 million from a group of investors in its Series C round of funding led by PremjiInvest, the personal investment vehicle of Wipro chairman Azim Premji. The round also saw participation from new investors, including Twitter Ventures, Qualcomm (through Qualcomm Ventures), Telefonica Ventures, Smartfren Telecom, Index Ventures, Len Blavatnik's Access Industries, News Corp promoter Rupert Murdoch, Vivi Nevo and several others. News Corp also owns this website.